Which pooch does not love getting a treat or two every now and then. Dog owners also love giving their dogs treats. If you have a dog, then you have a good idea of what your dog likes to nibble on. There are so many treats available these days and they all come in all different shapes, sizes, colors, and consistencies. For every great dog treat, there are those on the market that are not so good. These treats can harm your pet by being lodged in your dog’s throat or intestines. This can also cause choking. If you love give treats to your canine friend, then you will want to be aware of treats that can be potentially harmful. Even with treats that are not deemed dangerous, you need to supervise your dog when they eat. Greenies: Most dogs really enjoy these treats. They are advertised as a treat that helps clean your dog’s teeth. However, you need to be aware that “greenies” can cause choking. This is because dogs eat these very quickly and causes large chunks to lodge in the throat. Young puppies should not be given this treat and dogs that are prone to “scarfing” food. If your dog is given these treats, be aware of potential vomiting, bloody stools, and difficulty breathing. If you notice any of these symptoms after your dog has eaten this treat, seek medical attention immediately. Rawhide Chews: Rawhides are good because it cleans your dog’s teeth and keeps your dog occupied. However, rawhides can be dangerous as well. Some rawhides that originate outside of the United States may actually be preserved with arsenic-based chemicals that will be ingested by your dog when he or she chews. For this reason, make certain that any rawhide treat you purchase is processed in the United States where such preservatives is forbidden. If you cannot tell where a treat originated do not buy it! 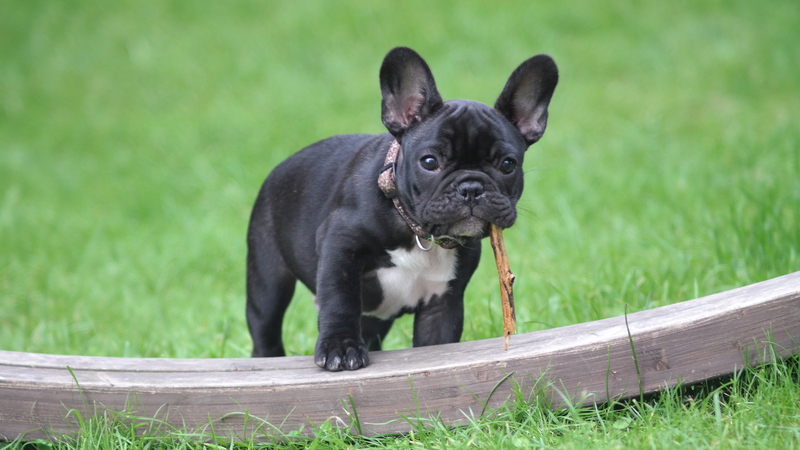 In addition, you still need to watch your dog when he her she is munching on rawhides to help prevent choking. Make sure you buy rawhides that are the appropriate size for your dog, too. A small dog needs the smaller sized rawhide treats. Chocolate: Chocolate is a terrible thing to be given to dogs. Of course, sometimes dogs can get into candy and cake without your knowledge. Chocolate is toxic to both dogs and cats, so you need to be aware of your dog sneaking chocolate nibbles, especially around the festive seasons. Chocolate contains an ingredient called theobromine. This acts in the canine the same way caffeine acts in the human. A little will make the dog hyperactive, but a huge dose may be fatal. If your dog has gotten into chocolate, you need to look for vomiting, shallow breathing, and irregular heartbeat. A visit to the emergency vet is recommended. Bones: It seems that it is the rights of every dog to be able to crunch on a real bone from time to time. Dogs love bones of all types. However, some bones can be dangerous. Both chicken and turkey bones are especially dangerous because they are brittle. When your dog chews on the, they can easily splinter and cause choking. Some pork and beef bones can also cause the same problem. Veterinarians agree that the one of the safest bones you can give your dog is a shinbone. If you must give your dog a bone, make sure you supervise your pooch and if he or she shows signs of bleeding, then you should call your vet immediately for some advice. This is not to say that you cannot give your dog an occasional treat. That is one of the fun parts of owning a dog. You do need to watch your dog and make sure that your dog is safe when snacking. Always pay attention to the kind of treats you give your dog in case of a recall. Hello I am so happy I found your blog page, I really found you by error, while I was searching on Askjeeve for something else, Nonetheless I am here now and would just like to say thanks for a fantastic post and a all round exciting blog (I also love the theme/design), I don’t have time to go through it all at the moment but I have bookmarked it and also added your RSS feeds, so when I have time I will be back to read more, Please do keep up the superb job.